and completion date. Keep this for your records. 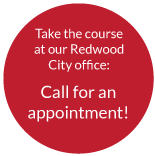 We deliver your traffic school completion directly to the California Superior Court on your behalf. When your completion is sent to the court, we will send you a personal email confirming that it has been sent. With electronic delivery of your traffic school completion, you don't have to deal with paper certificates or bring anything to the court—we do it for you. Is your due date approaching fast? your completion from us. So if time is running short, get started today. because the courts look at when you pass the final exam, not when they receive the information from us.